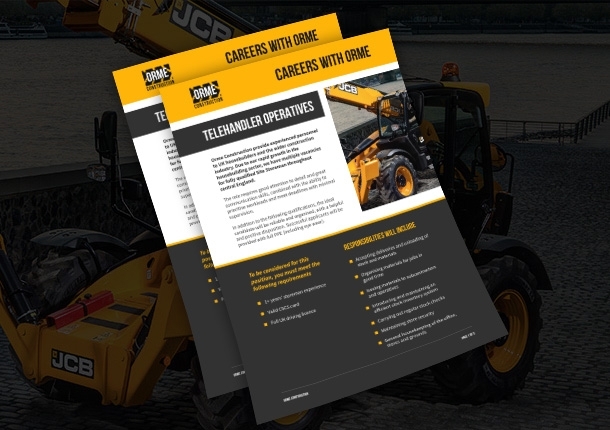 Operating throughout Central England since 1995, Orme Construction is recognised as a leading Telehandler and Operative contract hire company within the construction industry. Since our company was established, we have developed an expert understanding the UK house building industry, and have realised that an All Risk solution provides a hassle free and cost-effective service to housebuilders and the wide construction market. We pride ourselves on exceptional customer service – we care about what we do. We’re happy to take the extra steps required to provide a second to none service. 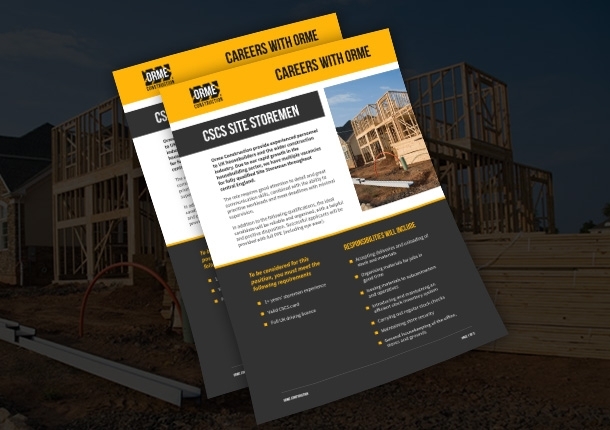 Our commitment to customer satisfaction, proactive communication and an excellent service ensure Orme Construction’s reputation continues to develop throughout the areas we operate.